Apple has announced that it will begin accepting the Alipay mobile payment app in its Chinese retail outlets. The developments comes as the Cupertino, California-based tech giant tries to get back on a growth trajectory in China, the second largest economy in the world. The deal will allow Apple’s customers in China to use Alipay to pay at any of the 41 physical retail outlets the tech giant owns in the country. Previously in the world’s most populous country Apple was only accepting Alipay on the App Store, iTunes Store and its China website. In China Apple Pay, the payment system of the iPhone maker has failed to gain traction. With the tie-up Alipay, which is run by Ant Financial, an affiliate of Alibaba, will become the first mobile payment system operated by a third party to be accepted by Apple in its retail outlets across the world. In 2016 the value of Ant Financial was estimated to be approximately $60 billion. The deal between Apple and Ant Financial comes as the tech giant enhances its efforts in China by strengthening its ties with government bodies and local Chinese partners. In the recent past the chief executive officer of Apple, Tim Cook, has visited China regularly. To comply with local laws Apple recently announced that user data will be shifted to servers based in China. According to reports by state media Apple is putting up its second Chinese data center in the autonomous region of Inner Mongolia following another one it built in 2017 in Guizhou. Last year the iPhone maker booted dozens of foreign and local virtual private network apps from its app store for the Chinese market. 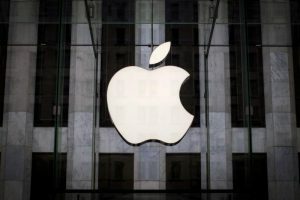 Apple’s acceptance of Alipay in China comes in the wake of a report indicating that the tech giant is partnering with Goldman Sachs with a view to selling iPhones as well as other products on installment plans. Currently Apple provides loans at zero-interest allowing customers to pay for an iPhone in installments for a period of 24 months. The facility is known as iPhone Upgrade Program and the reports indicate that Marcus, Goldman Sachs’ consumer division, would take over. “We believe that for Apple to trade at a materially higher multiple, it needs to migrate its transactional selling model to a subscription based model,” Toni Sacconaghi, an analyst at Bernstein, wrote in a client note last year in December.